The second quarter of 2018 marked another high point for 529 plans. Here is the latest market data by Strategic Insight that can be used by the media and other organizations, and contact Strategic Insight for more information and commentary on its proprietary data, research, events and digital publications. What are the top trends and topics in the ABLE account industry? 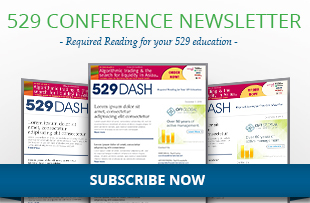 What are the top trends and topics in the 529 college savings plan industry? What was the 529 market sizing as of 1Q 2018? 529 savings plans have continued to reach year-over-year highs, improving across a wide array of metrics. The market totaled $321 billion in assets as of March 2018. Read our latest 529 Insiders article to learn more. What percentage of parents save for college, save for college with 529s and save for college without 529s in 2018?